Possibly the perfect classic children’s gift, a superb quality, classic wooden chair is perfect for christenings, birthdays, Christmas or other special occasions, to become part of cherished childhood memories. Built as a hand-me-down piece of furniture with grand design principles, it gives children a handy perch for reading and playing from playroom to living space or child’s bedroom. Designed and manufactured in the UK with a focus on sustainability, buying locally, supporting a local, valued workforce and using the highest quality materials. Choose from one of three gorgeous child friendly paint finishes, pink, blue, lime green or our limited edition union jack chair. The chairs comes flat packed in a heavy duty twin walled corrugated box that’s easy to recycle. 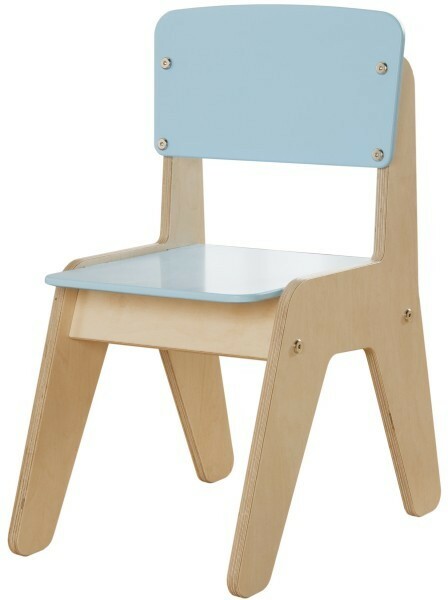 Fits perfectly with our wooden table, play table or desk.